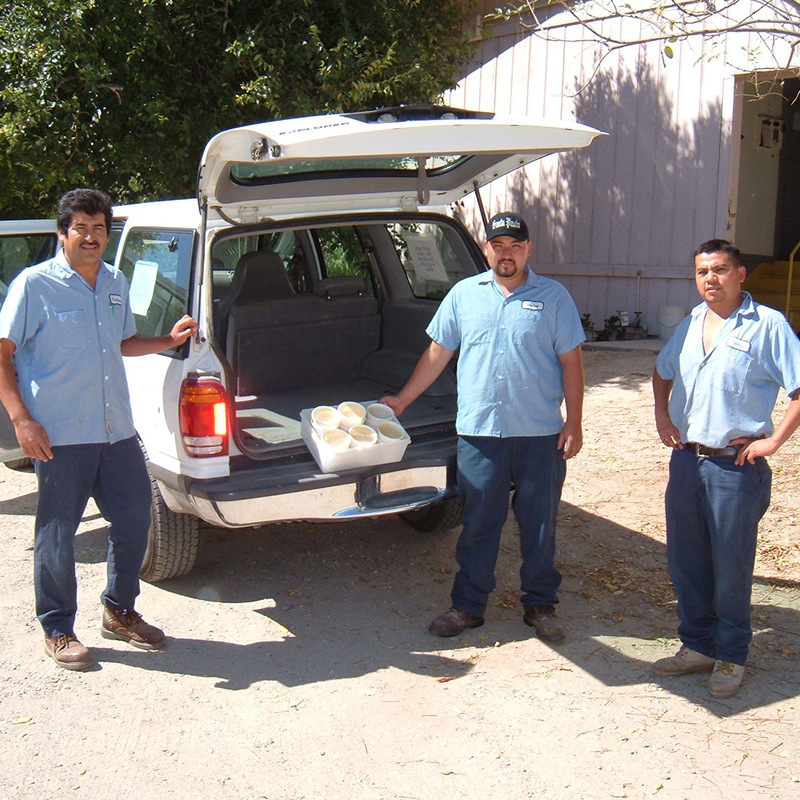 Associates Insectary is a grower-owned agricultural pest control cooperative based in Santa Paula, California focused on providing our grower-members with premium quality Integrated Pest Management services. 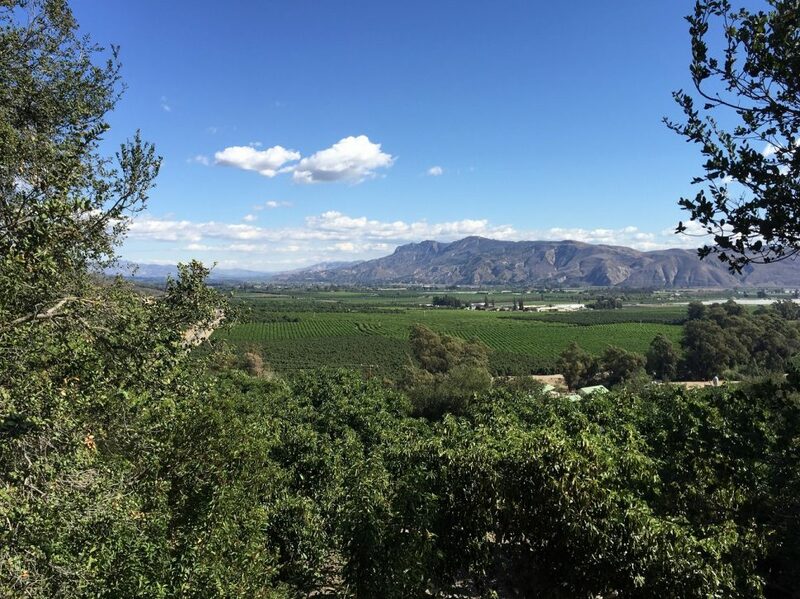 We provide pest consultations, beneficial insect releases and spray applications to protect over 6,000 acres of citrus and avocado groves owned by our Members. As a grower-owned cooperative, Associates operates on a break-even basis, motivated not by profit, but solely by providing high quality beneficials and pest control services to our grower-members. In more recent years, our Association’s reputation for producing high quality beneficial insects and mites has allowed us to expand our business beyond our local region and into markets throughout North and Central America and the Far East. In continual operation since 1928, Associates Insectary is the oldest commercial insectary in the United States. 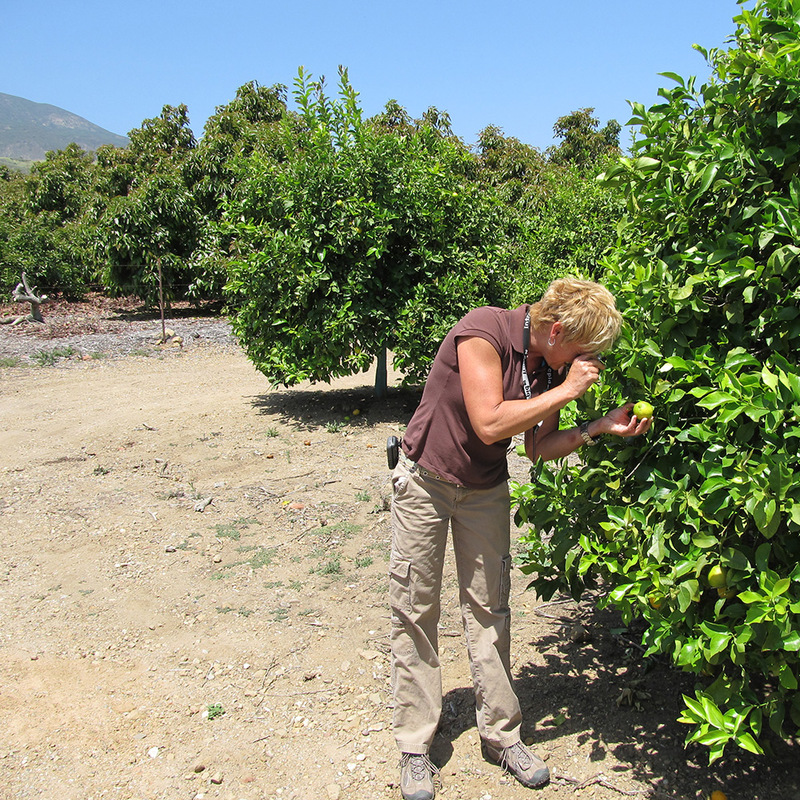 The Insectary was originally established to raise the ladybird beetle, Cryptolaemus montrouzieri, in order to help in fight the Citrophilus mealybug, which was decimating Ventura County citrus groves in the 1920’s. We have since expanded our facilities and production capacity to be able to raise several other species of beneficial organisms and now have over 50,000 sq. 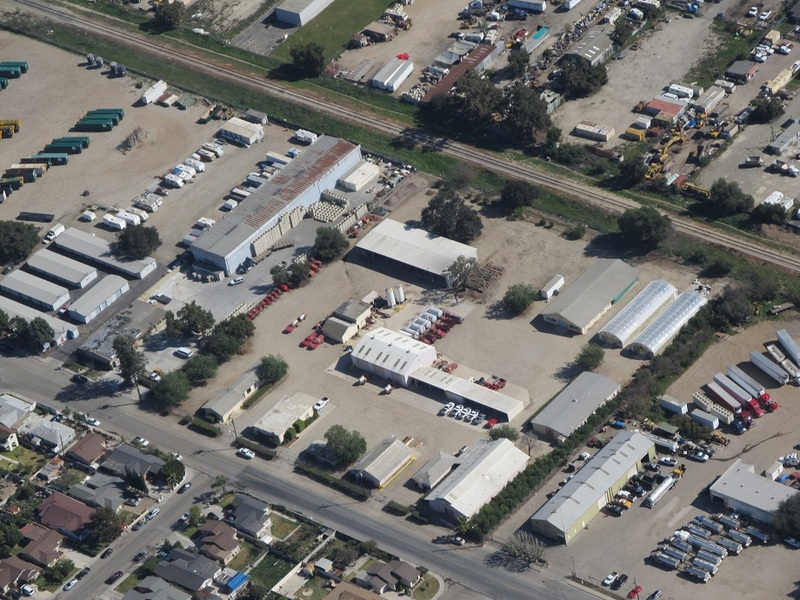 ft. of rearing space at our five acre facility. 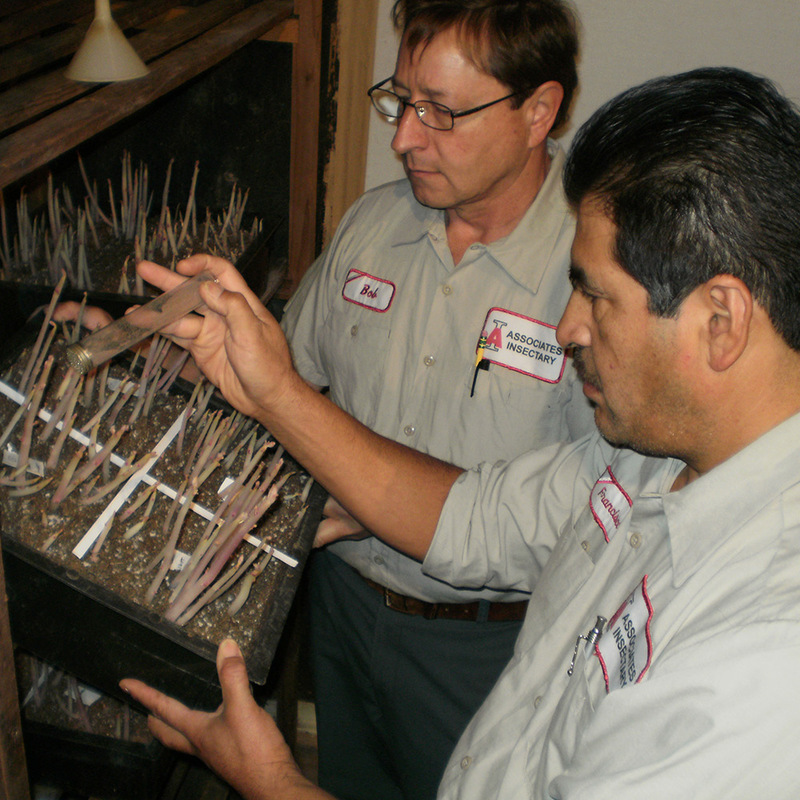 Associates Insectary is the sole producer of the “Mealybug Destroyer” beetle in North America. We are also the leading producer of the Red scale parasite, Aphytis melinus, and the predatory mite, N. californicus, in the United States. We have a dedicated and highly experienced staff of beneficial Insect Rearing Technicians. Several of our technicians have worked here for more than twenty years; with one celebrating his 42nd year as an employee with Associates Insectary! All of our technicians are skilled in the “art of mass-rearing” beneficial organisms. These artisan specialists work seven days a week, 365 days a year to raise fresh and highly effective beneficials for our grower-members and to supply commercial users and resale distributors across the globe. Pest control application equipment has always been an integral tool for pest management programs for our members. Our Staff partnered with university researches 75 years ago to design and fabricate equipment which would provide maximum effectiveness in farming conditions found in Ventura County. Likewise, the rearing methods and equipment used at Associates Insectary were primarily developed here by our Staff. This highly specialized equipment is modified to meet the unique demands of rearing almost a billion beneficials each year. Our tradition of innovation in insect handling and mass-rearing has established us as an industry leader in the development of practical methods of rearing insects to provide economic alternatives to enhance the economic viability of citrus and avocado growers in our region. In the 1920’s, California’s Ventura County citrus crops were being ruined by masses of Citrophilus mealybugs which smothered the valuable fruit with black, sticky, sooty mold. There were no chemical methods available to control this pest at the time. Using a model to form other Southern California agricultural cooperatives, seven citrus packing house “associations” joined together to hire an entomologist and finance and build “Associates Insectary”. Growers were charged the equivalent of about $85 an acre to raise the start-up funds necessary to construct the buildings and begin operations. By the mid-1930’s, additional pests were becoming a problem and it became obvious that an “integrated” approach was needed to continue to successfully combat these new pests. A fleet of spray equipment was designed and fabricated by our staff to be used in conjunction with the release of beneficial insects and grove inspections by entomologists. This integrated approach pioneered by Associates Insectary has since been labeled Integrated Pest Management (IPM). This is still the basis of how Associates Insectary operates today. a. To engage in any activity in connection with the purchase, hiring or use by its members of supplies, machinery, equipment or services for the eradication or control of all insects, pests, parasites or otherwise, by whatever name known, which may affect or concern any horticultural or farm product; or in the Financing of any such activity. b. To investigate insects, pests, parasites, or otherwise, by whatever name know, which may affect or concern any horticultural or farm product, and to develop supplies, machinery or methods for the eradication or control of same.